Letting your laundry accumulate to the point where one has literally nothing to wear has its benefits. My hamper had no room, and so my not-so-clean-but-not-so-dirty clothes hanged in-between wears. 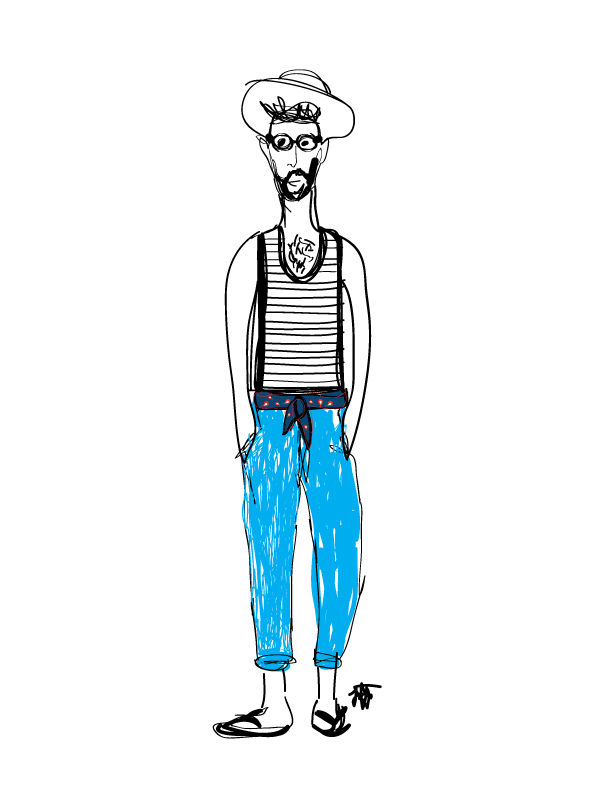 Suitable for an early a.m. store run, this ensemble I threw on left me inspired. 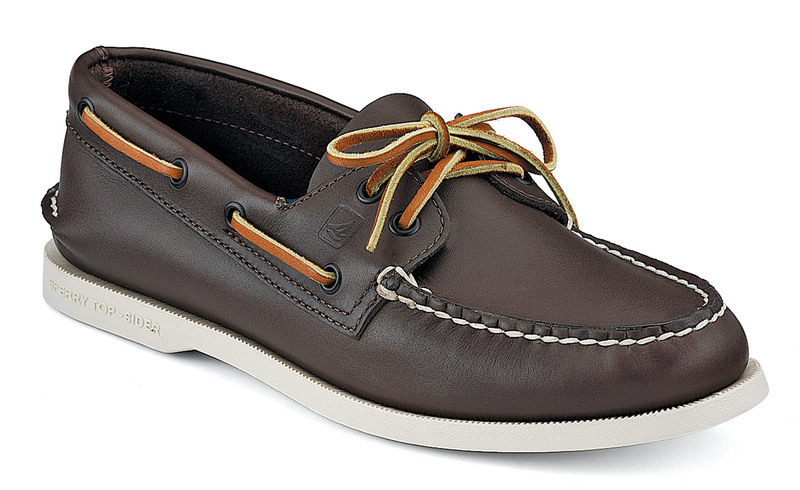 The Authentic Boat Shoe, in brown by Sperry Top-Sider, is adaptable with its exhibition, looking professionally dashing when squeaky-clean and new, but wonderfully devil-may-care as it gets seasoned with wear. A shining beacon of American prep, it bridges the gap between ensembles, and even appropriate for the office on Summer Fridays. 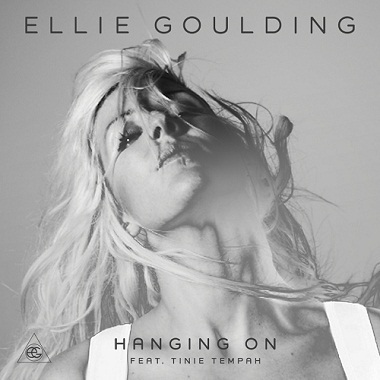 The folk-electronic songstress who eclipsed the music map with scintillating hits like “Lights” and “Under The Sheets”, returns with “Hanging On“, a fragile cover originally by Active Child, but beautifully suiting Goulding’s vocality alongside, hair-raiser beats, and a throbbing rap by Tinie Tempah. A smidgen of Sriracha and mayo moistens a pillowy Zabar’s baguette. Lemon chicken, sea-salted fresh mozzarella, avocado, and thinly-sliced tomatoes made for a picnic sandwich that was so magnificent, it just might get you laid. Picnics don’t always have to be fussy. An old sheet too big for the average Manhattan bed to outfit makes for the best blanket. Parchment paper and elastic bands grant your home-made meal that bought-from-the-shops feel. Throw it all in a sturdy paper bag and head to the park. With its outpost finally open in New York and the city’s obsession with the gastronomic genre otherwise known as Asian Hipster Cuisine, Mission Chinese Food is the city’s latest, with its installment of fiery, Asian-inspired eateries that will have you ooh, ah, and simultaneously humph, too. 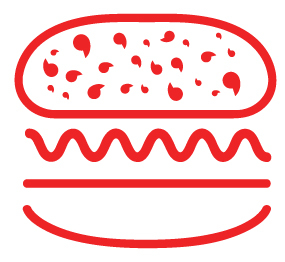 Stockpiling nods from Martha Stewart, Anthony Bourdain, and New York Magazine, the space is often swarming with crowds that appear to have nothing better to do with their lives than sit around clad in their polka dots and baseball caps, waiting for a meal you would think was being handed out for free. (Think homeless shelter, but better suited for the ironic and hip). A keg flowing with free beer for those who wait, can pacify the frustration, so do the Congqing Chicken Wings with spicy chili and crispy beef tripe, passed around on occasion, as you learn that your hour-long wait is probably going to be more like a two-hour long detention. 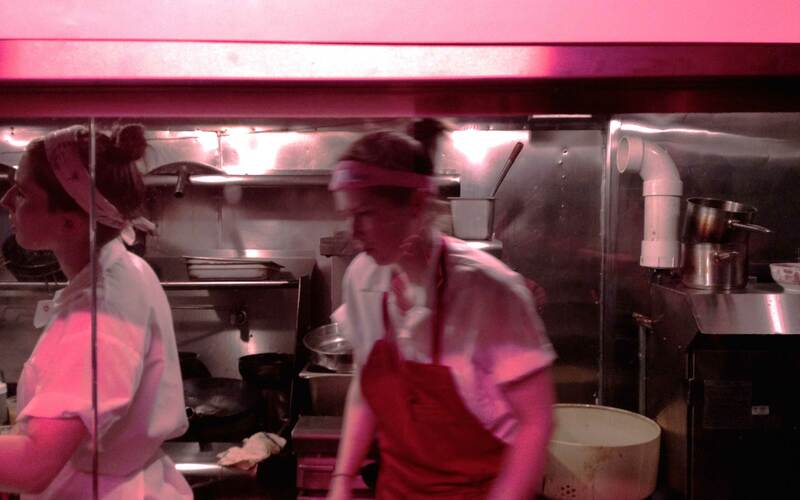 But unlike the overweening air you get from any of David Chang’s establishments, the folks who run the show at Mission exhibit no pretension, their friendliness coming across as genuinely appreciative. This is almost off-putting, considering the mutually conflicting condition of heaven and hell one has to endure prior to sitting down. Thus, an untainted critique is almost impossible to provide, given the grueling sense of excitement that surrounds the experience of managing to finally eat. Despite that, the food is full of life. Invigorating, it redefines the cuisine associated with convenience and acid reflux, elevating Chinese food with texture, spice, and heat. More than the heavily-praised cumin lamb breast, and thrice cooked bacon everyone is raving about, the technique of which the vegetables are rendered steal the show. Eggplant is luxuriously stir-fried with garlic and tomatoes, its consistency kissed with Thai basil and the crunch of sunflower seeds. The Mongolian Long Beans, albeit quite spicy, retain an energetic bite and chew that will leave you rethinking string beans and their typically muted impression. 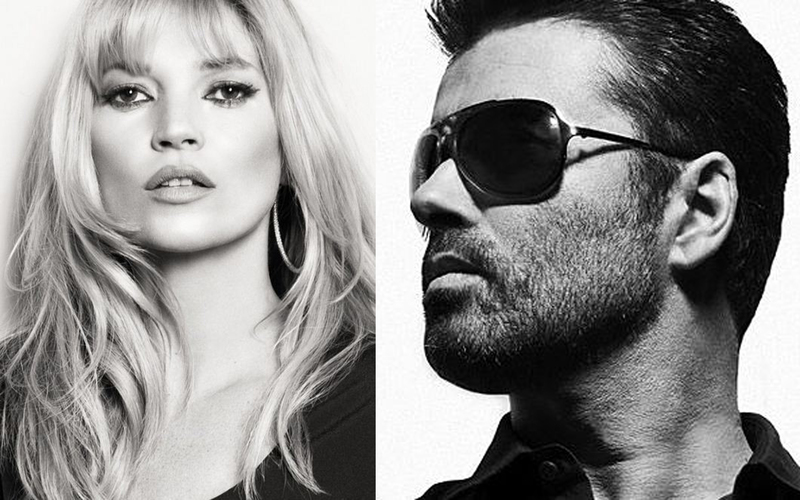 Bathed in thrumming luminescence, George Michael returns to the scene with “White Light.” The track marks Michael’s 30th anniversary in the business, but unlike the carefree “Amazing” of 2004, White Light speaks to the artist’s near death encounter due to pneumonia. Moreover, it alludes to his deceased mother, played by the ubiquitous face of heroin(e) chic, Kate Moss. But there is a shiny silver lining, albeit it’s amidst ivy drips and some pretty melancholic electronica. Bronzed-half-naked dancers, white doves, and a gracious zebra, delineate the optimistic, urge to make the most of the present. Riding the waves of the coconut water craze it seemed only a matter of time before the potassium-rich beverage of choice, amongst the chic and fabulous, would need a perk. 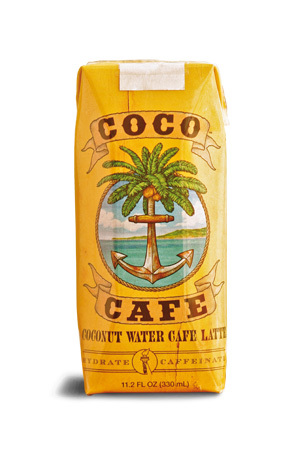 Coco Café does just that by combining coconut water, milk, and espresso, all together in one handheld package. The newfangled combination fares well, delivering an unsurprising, iced latte sort of experience. Sadly, the coconut water, which has a subdued taste to begin with, gets totally lost amidst the bumptious flavors of espresso and milk. Much like the bevy of beverages fortified with caffeine, vitamins, and other alleged elixirs, Coco Café, at best attempts to hydrate and perhaps perk, a little more naturally than its synthetic counterparts. On a design note, let’s acknowledge the clever illustration of a coconut palm rooted into the ocean! It turns the humdrum emblem of the sea and all things nautical into something more original.